I'll be sharing some new projects throughout this month, but if you can't possibly wait to get started, don't over look the projects archived on this page: Tutorials to get you started. You'll find a tab for it up there at the top of the page and it's also over in the sidebar so you'll always be able to find beginner projects. The newest ones are added to the bottom of the list. 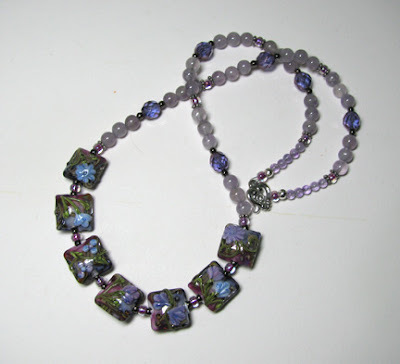 Try Love is a Rose or the Summer Flowers necklace if you're a beginner beader.